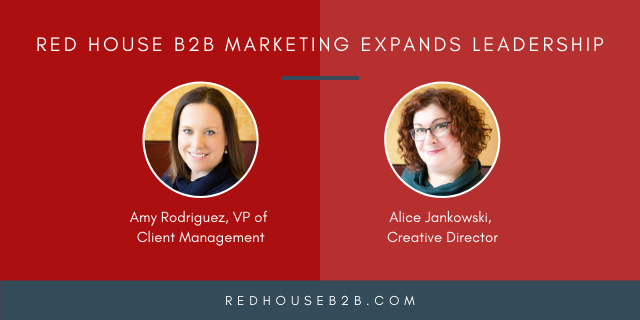 Red House B2B Marketing has further strengthened its leadership team by hiring two industry veterans to lead Client Management and Creative Services. Amy Rodriguez was hired as VP of Client Management and joins the firm with 20 years of experience in digital marketing and brand management, which includes roles at Arnold Worldwide, engauge, Organic, IQ Agency and Digitas. Alice Jankowski was hired as Creative Director, and joins the agency with 20 years of experience including omni-channel marketing and branding campaigns, content strategy and social, with previous roles at IQ Agency, SapientNitro, Adrenaline and FCB Global.